Biomedical engineering and health informatics are closely related to each other, and it is often difficult to tell where one ends and the other begins, but ICT systems in healthcare and biomedical systems and devices are already becoming increasingly interconnected, and share the common entity of data. This is something which is set to become even more prevalent in future, and will complete the chain and flow of information from the sensor, via processing, to the actuator, which may be anyone or anything from a human healthcare professional to a robot. Methods for automating the processing of information, such as signal processing, machine learning, predictive analytics and decision support, are increasingly important for providing actionable information and supporting personalized and preventive healthcare protocols in both biomedical and digital healthcare systems and applications. 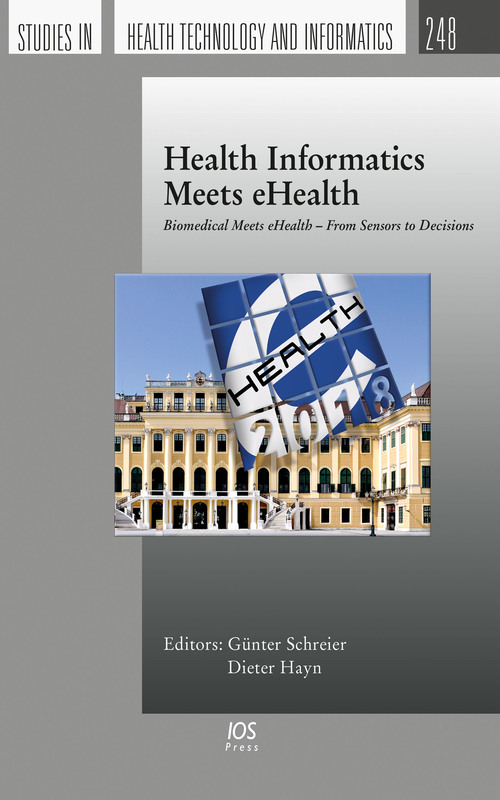 This book of proceedings presents 50 papers from the 12th eHealth conference, eHealth2018, held in Vienna, Austria, in May 2018. The theme of this year’s conference is Biomedical Meets eHealth – From Sensors to Decisions, and the papers included here cover a wide range of topics from the field of eHealth. The book will be of interest to all those working to design and implement healthcare today.